Wisconsin takes pride in the men who represent its long wrestling history. Bob Olson, New Richmond and 2006 inductee to the NWHOF has documented over 6000 head coaches of wrestling in Wisconsin dating to 1935. 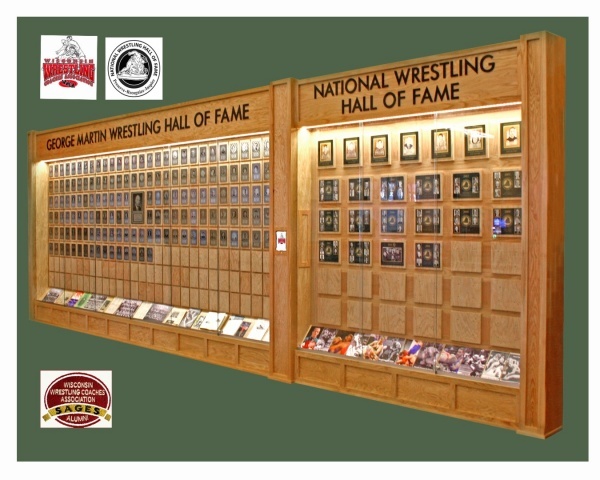 As of 2014, 157 have been inducted into the George Martin Wrestling Hall of Fame and 88 inducted into the Wisconsin Chapter of the National Wrestling Hall of Fame. Among them, recently deceased Bob Spicuzza, Milwaukee and Ed Stech, West Allis, helped boys become men for over 50 yrs. Many others enjoyed coaching for more than 40 yrs. Some have contributed despite odds that would have stymied the best of us. We have witnessed women like Doreen Reinwand, Lodi, Jill Gurtner, Middleton, and Alyssa Lampe conquer opponents and attain respect for their wrestling knowledge and success as officials. With those achievements in mind, a handful of Wisconsin’s Alumni Coaches, a.k.a. 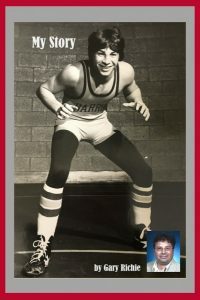 Sages, endorsed by the Wisconsin Wrestling Coaches Association, have honored those inductees with a Hall of Fame tribute at the Woodside Sports Complex in Wisconsin Dells, Wi. Woodside, owned by UCLA alumnus and wrestler, Damon Zumwalt (Los Angeles), is the venue for state and national tournaments. 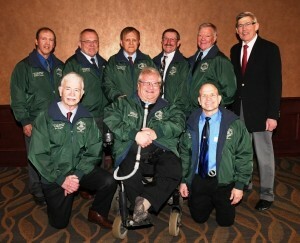 NWHOF Lifetime Service honorees, Don, Dale, and Steve Evans (Evco Plastics) DeForest, Tom Talbot, (Glen Oak Lumber and Milling) Portage, and Terry Shockley, (Shockley Group Inc.) Madison, expressed their understanding of the need to preserve Wisconsin’s wrestling history with generous contributions of time, money and expertise. The Camera Co. in Madison, Wi worked with committee members to design and produce the plaques. Rod Ballweg, R B Remodeling in Middleton, Wi. and Shawn Kazda (Waunakee), CAD technician, crafted the final product. It is a fitting tribute to the dedication of the pioneers of Wisconsin Wrestling. Other Lifetime Service Honorees, Don Hartman (Osceola), Gary Gutknecht (Riverdale), Al Bauman (Mineral Point), Tom McGarvie (Watertown), WWCA Executive Board Members and others were available and ‘on call’ when needed. 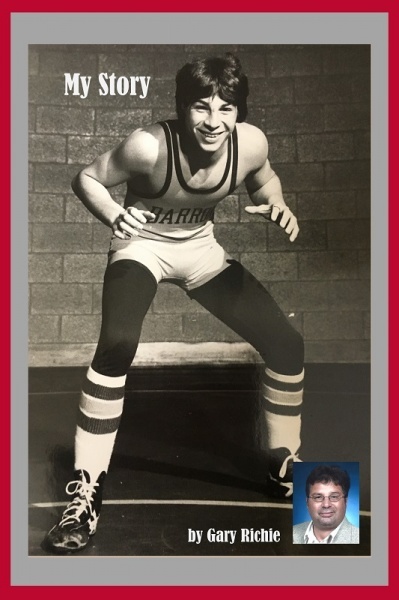 The WWCA Alumni have been collecting and organizing wrestling materials, literature, publications, photos, and storing them for future generations of those who enjoy the sport of wrestling. There is a vision of a facility to preserve and display the relics and records of more than 70 yrs of Wisconsin Wrestling memories. To say the least, it has been a team effort. Welcome to the online home of the Wisconsin Chapter of the National Wrestling Hall of Fame.